For any professional working in NCR (or even people who just like to try things in life), eating out is a pretty frequent phenomenon. A working lunch with the team, treating clients, colleagues from another office or phoren visitors, the occasions are many, but the most fun is just enjoying a meal with your close friends or loved ones. So if you’re quite the gourmet, there is no dearth of options in NCR. Nor is it a problem if you are a fan of the Dhaba variety like me. 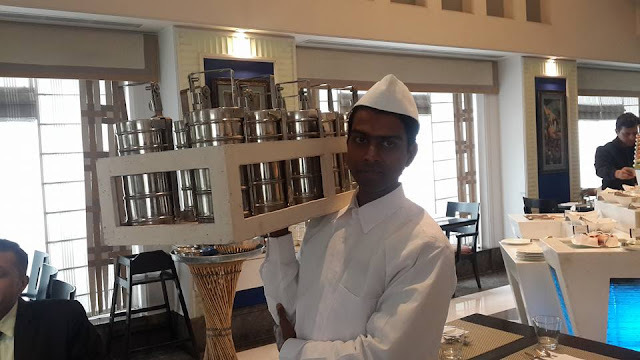 But here’s something unique and unheard of- Mumbai style dabbawala delivering a dabba right at your table in a swanky 4 star property in a prime location in Gurgaon! The mere idea of Dabbawalas evoke nostalgia and I just had to check this out. 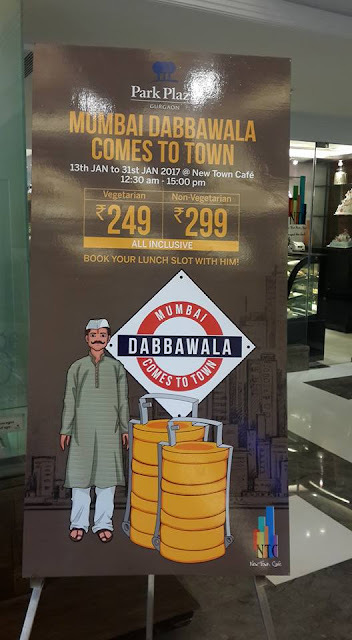 So you get this dabba (and yes the price charged is very reasonable), which is good Ghar-ka-khana style food- Sabzi Roti, Dal Chawal and a dessert. 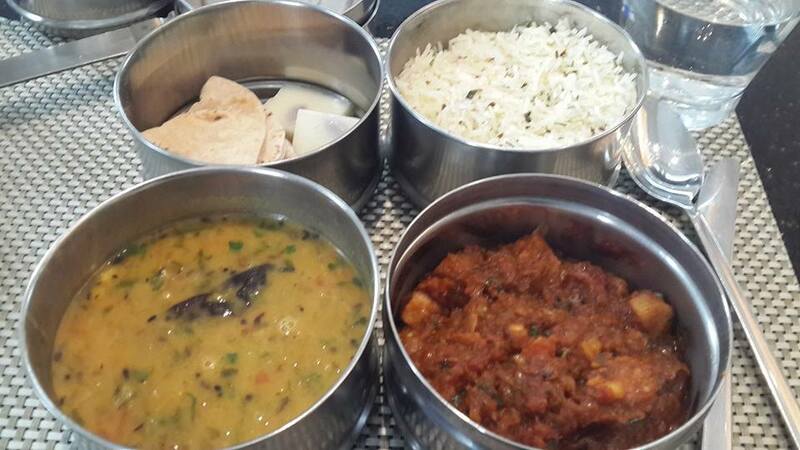 If you’re a veggie like me all of it for just Rs 249/- all inclusive . The dal is homestyle and so flavourful, while the humble arbi was given a fantastic makeover. The place I am talking of is the New Town Café at the iconic Park Plaza, a landmark in Gurgaon. This is a very peculiar offering which is ideal for a person who wants to enjoy eating out at a decent join without a. burning a hole in the pocket and b. adding too many calories or even avoid eating that typical greasy “bahar ka khana” and still having your tummy full. What you get in turn is something akin to “ghar ka khana”, decent variety but not too much, decent quantity and again not too much. This is indeed a kind of culinary sweet spot that they’ve hit, I’d say! 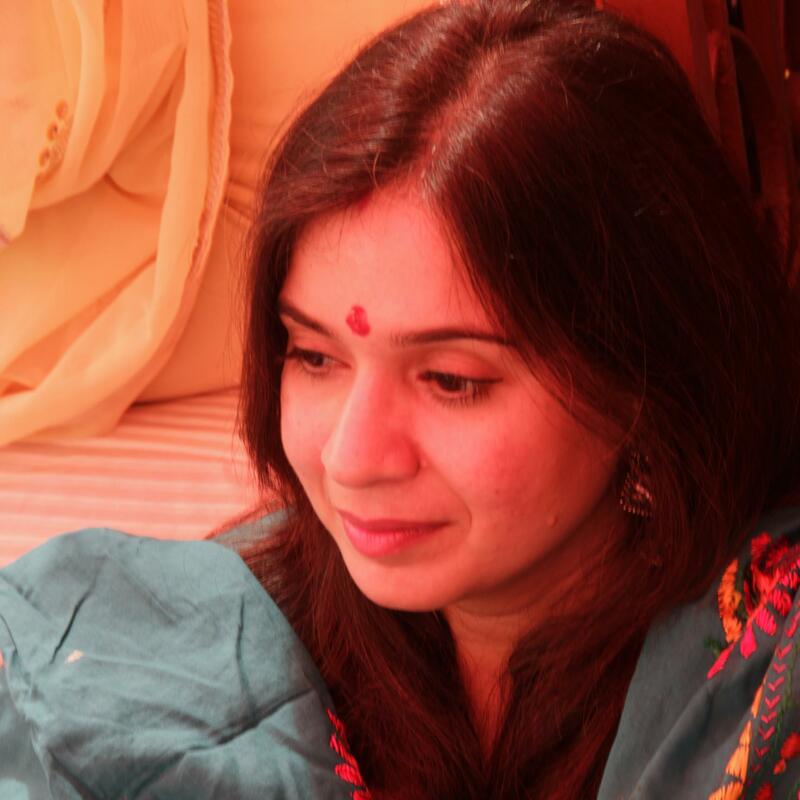 Where- New town Cafe, Park Plaza, Sushant Lok, Gurgaon, Haryana .